Need To Sell Your House FAST? We'll Buy It NOW! No Fees - No Commisions - No Repairs Needed - Sell "As-Is". Put More Cash In Your Pocket. You Get a Fair Offer - You Choose the Closing Date - We Pay All The Costs! We Buy Houses in Fresno, Ca. Kings, Tulare, and Madera Counties! We buy houses Fresno, Ca in any condition or price range or location! Sell your house in Fresno County, Kings County, Tulare County, or Madera County, and all throughout the Central Valley. We Pay CASH, We Buy As-Is, and Close within 7 Days or on the Date of Your Choice. Whatever your situation might be, we would like to make you a fair, all-cash offer and help you get out from under the property you no longer need. Maybe you've already tried to sell your home with the help of a real estate agent. Too much time spent looking for a trustworthy, competent agent. Being required to repair and renovate your home to get it ready for the market. Keeping the home immaculate for showings. Dealing with multiple strangers coming in and out of your house. Signing a legally binding contract with a realtor. Dealing with mountains of paperwork. Spending your own money to ensure that the home is able to pass inspections, or to obtain certification required by the buyer or the buyer’s lender. Waiting/hoping for a potential buyer’s financing to be approved. Losing a sale after the buyer’s financing fell through. These are just a few examples of what you might experience. Even when you do everything right, it can take months to sell your house using the traditional method of listing with an agent. Working with Central Valley House Buyer allows you to avoid all of those issues. At Central Valley House Buyer, we are NOT real estate agents or brokers looking for listings. We want to buy your house, not list it. Sell your house to us to avoid all of the problems above. Does your house need costly repairs? We will buy it. We are equipped to handle these issues. It’s what we do. You are not obligated to sell to us if you don’t like our offer. We pay cash, which means a faster sale with less paperwork. If you need the deal done fast, we can close the sale in as little as 5-7 days. You pay no out-of-pocket expenses, which means you make more money on the sale. Why take on all of the hassles of listing your house? Sell it to us and in many cases net the same amount of money? Let us cut through the red tape, and you can be long gone while we deal with the headaches. We buy houses Fresno, Ca. Interested in finding a partner to whom you can sell your house to? Central Valley House Buyers works with you to ensure a smooth, fast, fair process. We’re not a hired buyer, and we’re not a realtor or real estate agency, either. We are a local real estate investment group, led by Joaquin Avila. Joaquin Avila has over 15 years of experience handling virtually every imaginable type of real estate transaction. From this, he built experience working with the system, and an understanding of its flaws and problems. Joaquin has deep roots in the Central Valley. His family has lived in the area for four generations or more. Joaquin brings a love for the local area, along with a deep real estate knowledge and experience. In his career, Joaquin has bought and sold hundreds of homes throughout the Central Valley, and has built a reputation for excellence that speaks for itself. 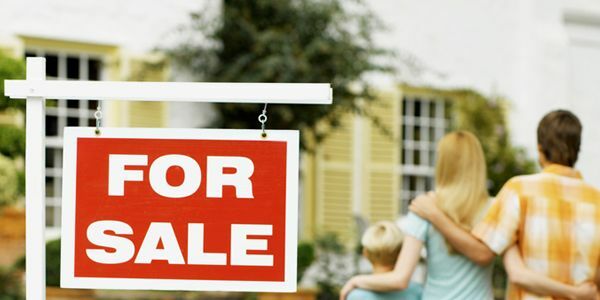 Do You Need To Sell Your House FAST in Fresno or anywhere in the Central Valley? Ready to Sell? We buy houses Fresno, Ca. Contact Us Today. The average person sells two or three houses in a lifetime, we have sold hundreds. We are not real estate brokers or agents who see you as a one-time opportunity to cash in. We use our relationships, experience, and skill to get the job done in a cost-effective manner, which allows us to offer you a fair price for your property. The greatest thing about it: you can get that without all of the frustrations. We Want to Buy Your House. For cash. At a fair price. Right now. Just give us some information about your house and let us help you get out from under that property that’s stressing you out. Feel free to call us today at (559) 554-2230.